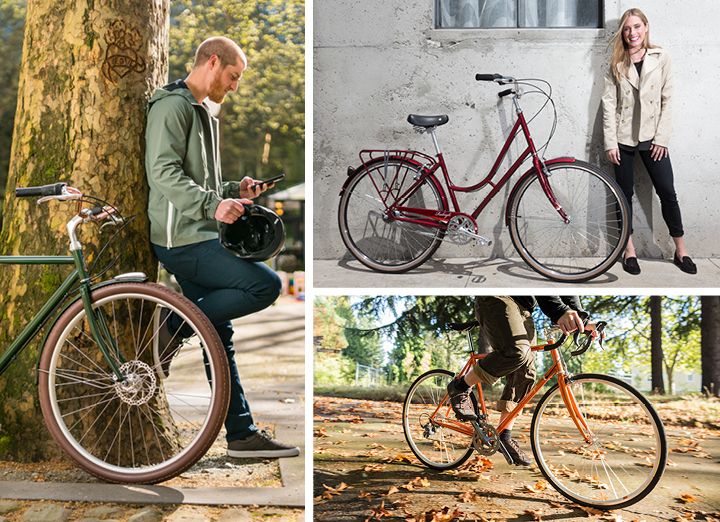 With their shapely lines, relaxed riding position, and retro elegance, vintage bikes capture many a heart. But finding and restoring a vintage bike to like-new condition can take quite a bit of time, effort and know-how. Why not get the look you love along with modern technology and convenience? The little luxuries that enhance your riding experience. Our bikes feature comfy saddles made of materials that complement the look of each bike. The grips also blend style with comfort: Check out the black cork ones on the Prim and the ergonomic leather ones on the Superbe. The weather protection and carrying capacity you want. Many of our models come equipped with fenders, racks or baskets. Still more are equipped with fittings so you can install the fenders and racks of your choice. Reliable brakes. Whether you choose a model with rim brakes or disc brakes, you’ll have peace of mind knowing your bike has ample stopping power and up-to-date technology. The gear range you want. Many vintage bikes have a limited gear range. We honor that tradition in models like the Harlan and the Haskell, which offer the simplicity of three or five speeds, respectively. But sometimes you want a bigger gear range for longer rides or hillier locales. So we have models like the Port Townsend, which features 18 speeds. Bonus: whatever gearing you choose, modern shifters are easier to work and easier to adjust for your hand size and wrist comfort. 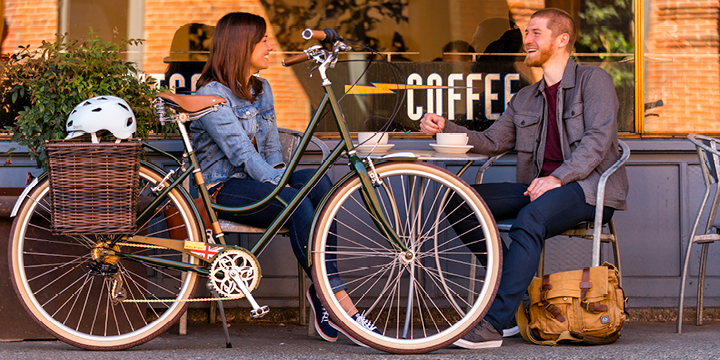 Raleigh’s Urban Heritage, Commuter and Street collections offer the best of both worlds. Get the look you love without compromising function and comfort.